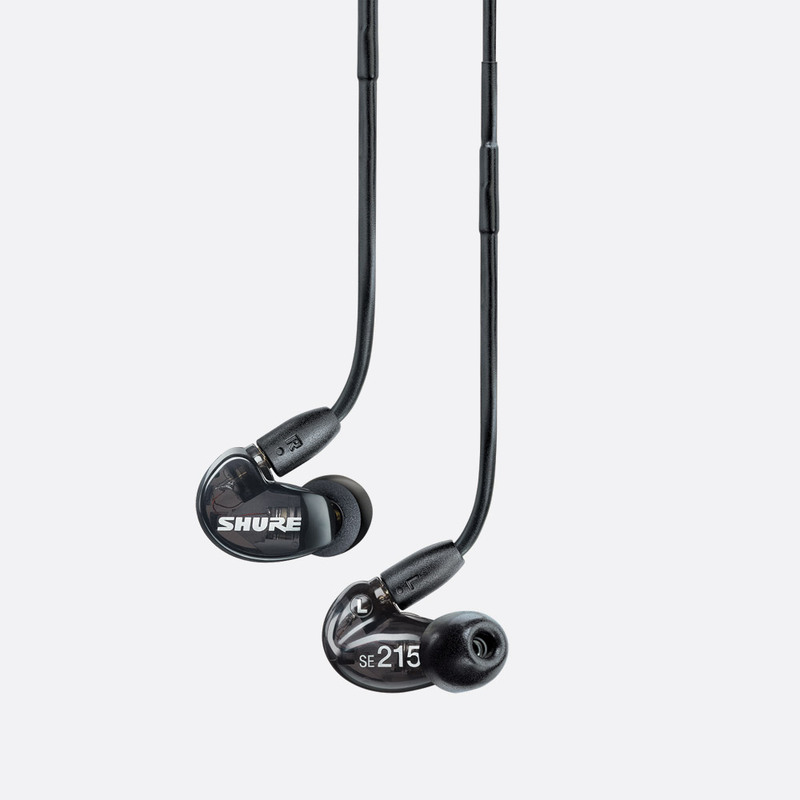 Shure sound-isolating in-ear earphones are primarily intended for use with Shure Personal Monitor Systems but they can also be used with devices with standard headphone outputs such as mobile telephones or digital recorders. With the exception of the SE112, which has a fixed cable, all Shure SE series earphones have with a detachable cable which can be replaced. 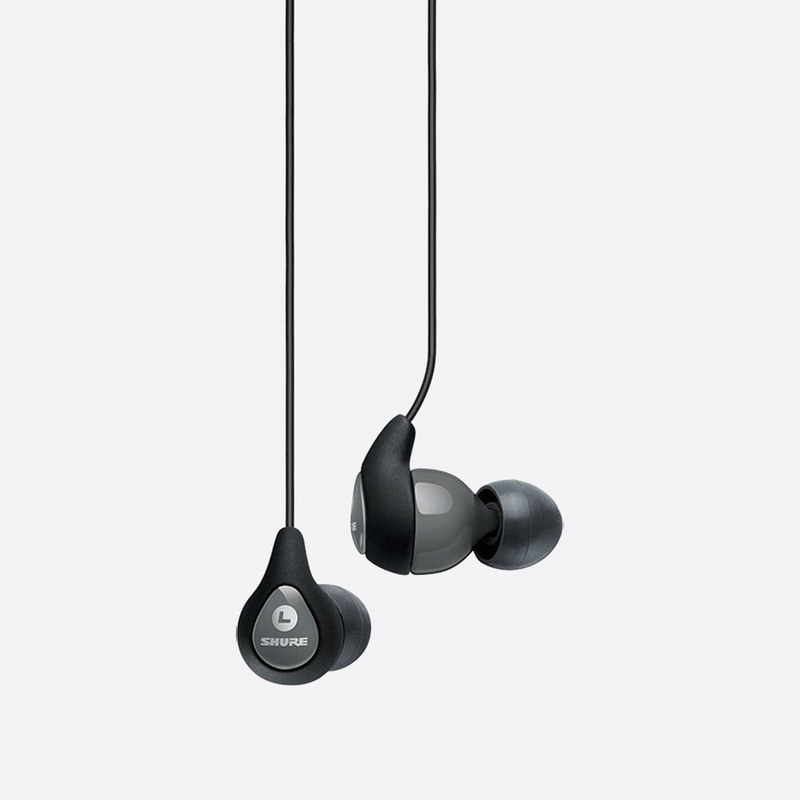 Spare or replacement earphones are available for the same models with options for colour and side. These grey, 16 ohm earphones, with fixed black 1.27m cable, have a single dynamic driver with a maximum sensitivity of 108dB SPL/mW at 1kHz. Up to 37dB of outside environmental noise can be blocked due to their 'sound isolating design'. The frequency range of the SE112 is 25Hz - 17.5kHz and is said to offer 'deep bass'. The cable terminates with a 3.5mm jack connector. Included accessories: Velvet drawstring case and 'fit kit' with soft flex sleeves in three differing sizes (S/M/L). Available in black or clear, the SE215 has 20 ohm single dynamic drivers and a durable, detachable, cable with kevlar reinforcement. The connector has a snap-lock mechanism which allows 360 degree rotation. An assortment of foam and silicone sleeves is included, in different sizes. 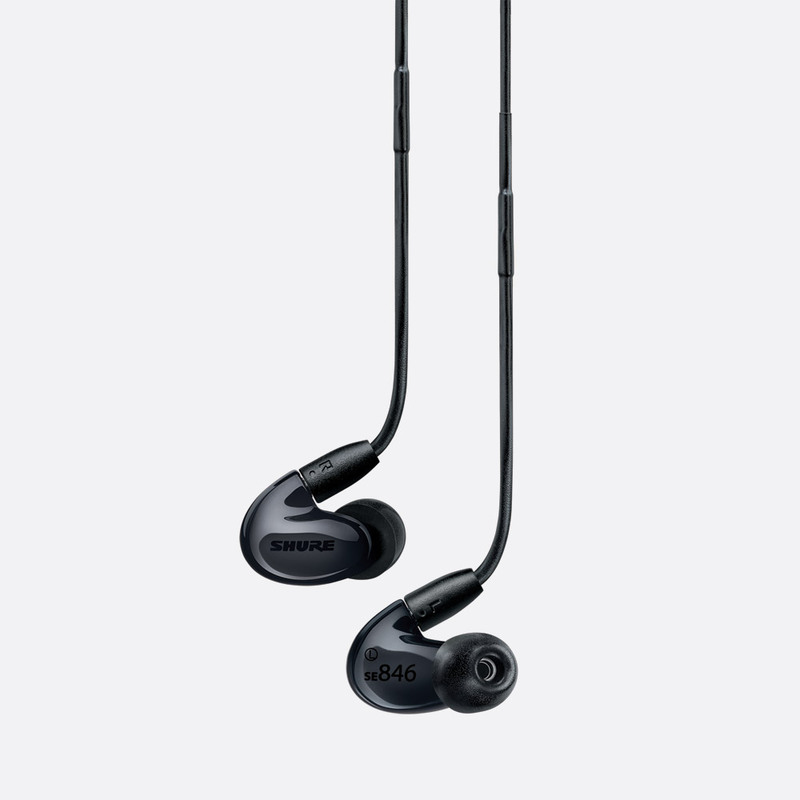 These earphones have a sensitivity of 107dB SPL/mW at 1kHz, and a frequency response of 22Hz - 17.5kHz. The 1.62m cable is detachable and can be replaced with EAC46 or EAC64 types. Included accessories: Transport case, foam sleeves, soft flex sleeves. 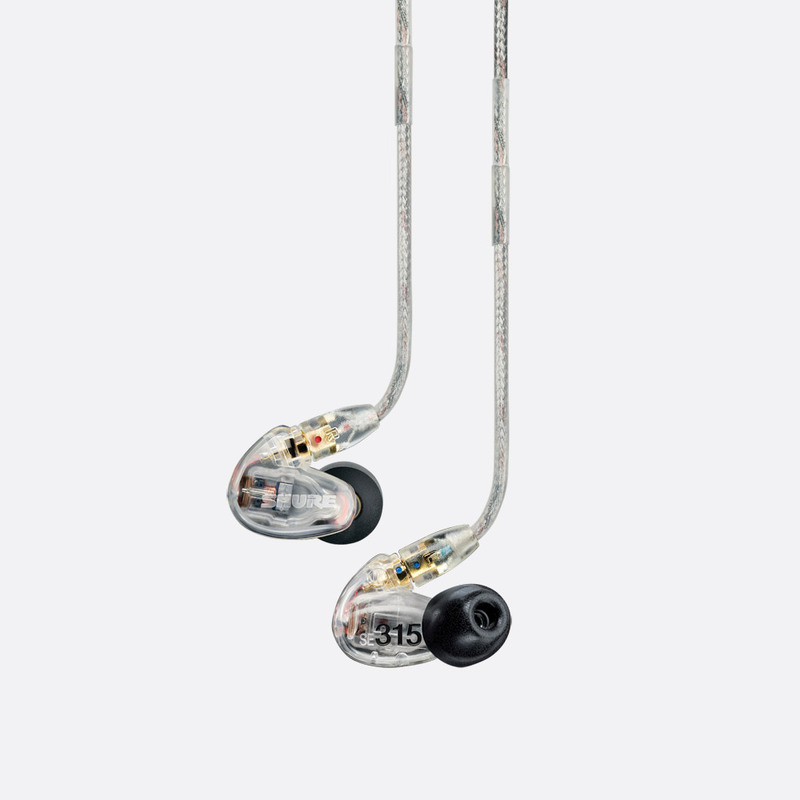 The SE315 are available in either clear or black and like the SE215 includes a 1.62m detachable cable. The single 27 ohm high-definition drivers offer a sensitivity of 116dB SPL/mW at 1kHz, and have a frequency response of 22Hz - 19kHz. Low frequencies are 'optimised' via tuned 'BassPort technology'; up to 37dB of sound isolation can be achieved with the foam/soft flex sleeves which are included. The cable terminates with a 3.5mm jack connector and can be replaced EAC46 or EAC64 types. Included accessories: Soft zippered case, yellow foam sleeves, black foam sleeves (S/M/L), soft flex sleeves (S/M/L), triple flex sleeves. 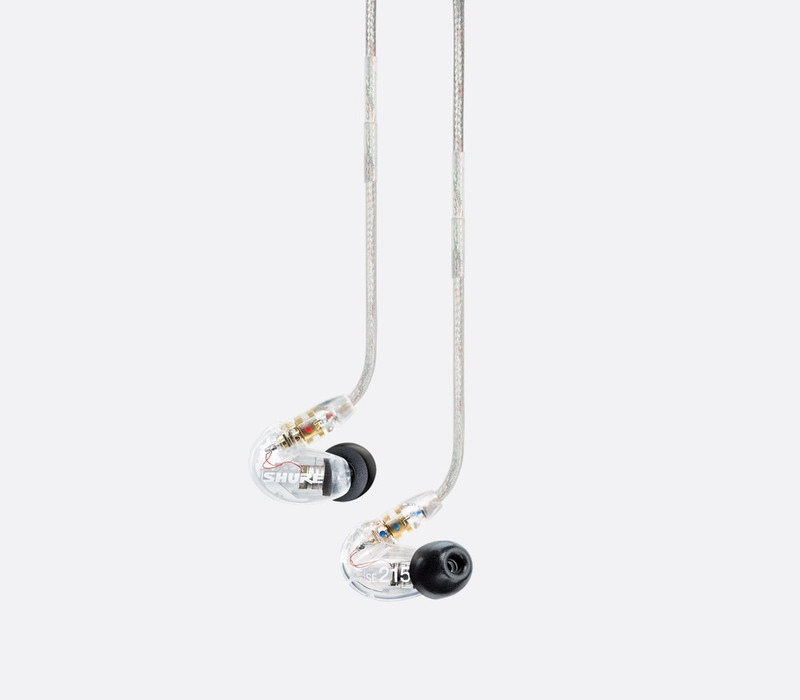 These earphones, with dual high-definition drivers, are offered in either silver or clear finish and offer an 'accurate and natural sound'. The dedicated tweeter and woofer drivers offer a sensitivity of 109dB SPL/mW at 1kHz. The 22 ohm earphones have a frequency response of 20Hz - 19kHz. Up to 37dB of sound isolation can be achieved with the included foam/soft flex sleeves. The detachable 1.62m cable terminates with a 3.5mm jack connector and includes a 6.35mm jack adapter. 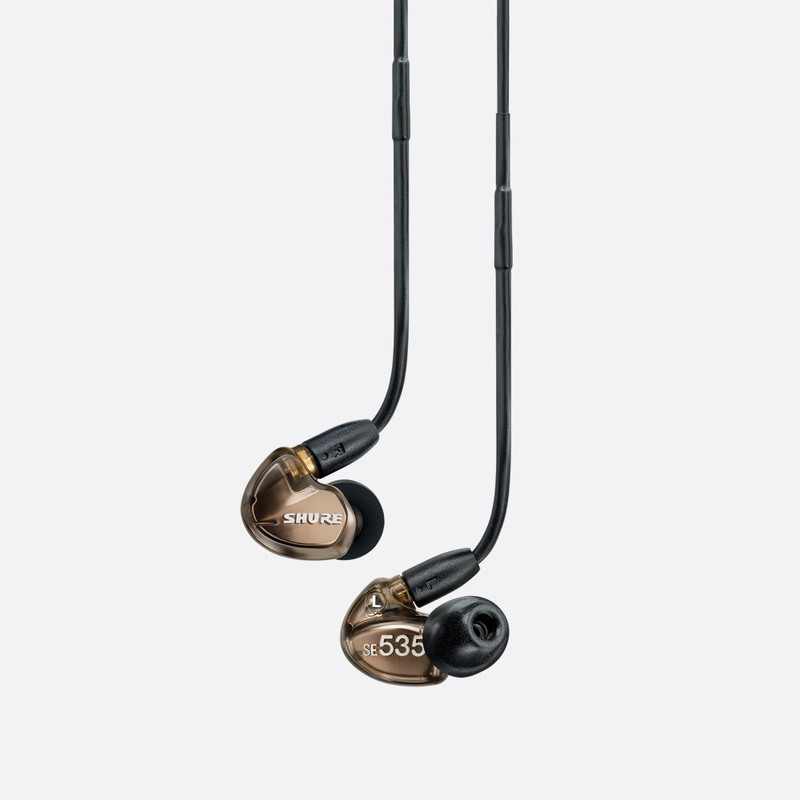 The SE535 is available in either clear or bronze colour. 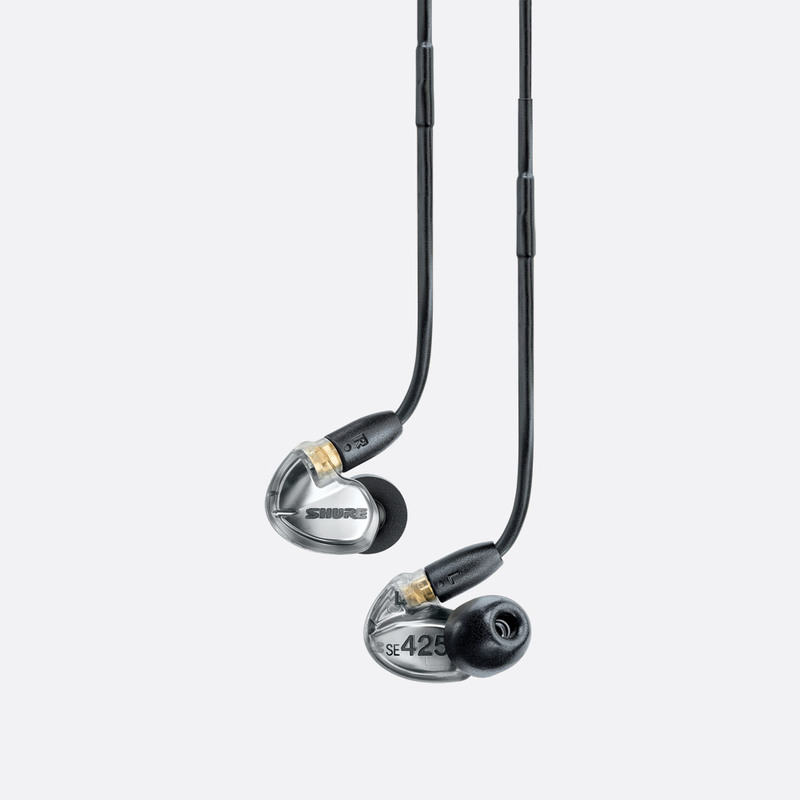 The triple high-definition drivers offer a 'spacious sound with rich bass' with a frequency response of 18Hz - 19kHz. The dedicated tweeter and dual woofer 'MicroDrivers' produce a sensitivity of 119dB SPL/mW at 1kHz with an impedance of 36 ohms. Up to 37dB of sound isolation can be achieved with the included foam/soft flex sleeves. The detachable 1.62m cable terminates with a 3.5mm jack connector and includes a 6.35mm jack adaptor as well as airline adapter and inline volume control. A premium carrying case is included to protect the earphones and cable in transit. Available clear or black coloured, the SE846 offer four high-definition drivers for 'extended high-end clarity' and 'true subwoofer performance', the latter aided by the internal low-pass filter. The frequency response of 15Hz to 20kHz can be adjusted to the preference of the user by using the included, removable metal nozzle and inserting the balanced/warm/bright nozzle inserts included. 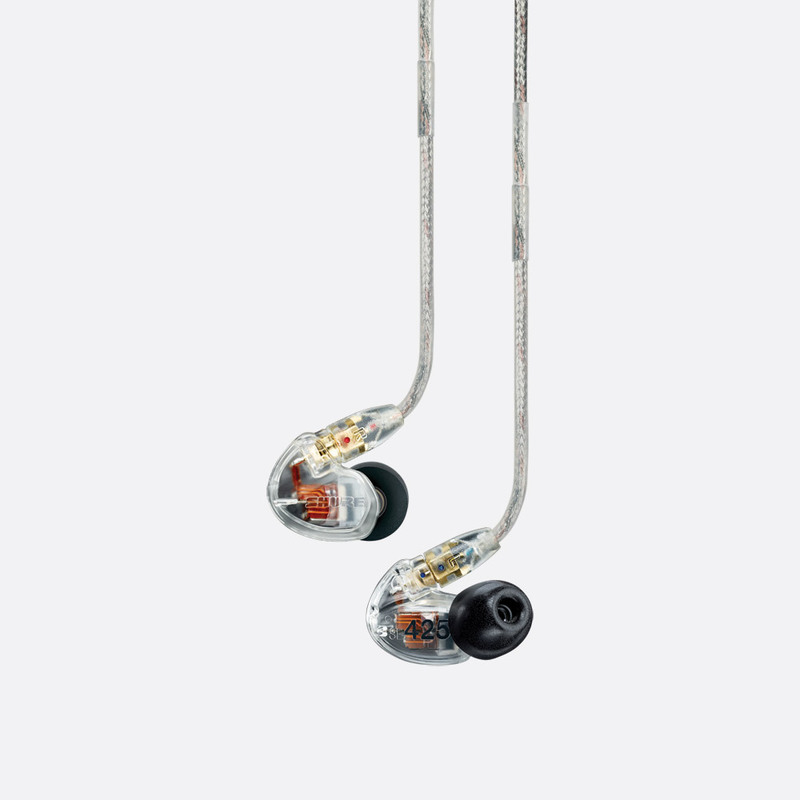 The 9 ohm earphones can produce a sensitivity of 114dB SPL/mW at 1kHz, with up to 37dB of outside sound isolation. The included and detachable 1.16m and 1.62m cables terminate with 3.5mm jack connectors. A 6.35mm jack adaptor as well as airline adapter and inline volume control are included as accessories. A 'premium' carrying case and 'road case' are included to protect the earphones and cable in transit. Shure advise using in combination with nickel plated EAC46BKS, EAC46CLS, EAC64BKS, or EAC64CLS cable for better quality sound reproduction.